meteorologist, on television stations in Kentucky, Tennessee, Missouri, Illinois, and Indiana. content that is aligned with NGSS. We enjoy having Jason each year." troll, and build a chair even Goldilocks can’t break. why obsidian is one of the strongest blocks in Minecraft, and more. Solo's sound blaster, and more. May the force be with you! engineering, and mathematics to your school. Jason Lindsey aka "Mr. Science"
magnets, students explore electricity as they engineer blinking, buzzing creations. and play in-game puzzles to enhance problem-solving and critical thinking skills. optical sensors to respond by spinning, speeding up, and more. 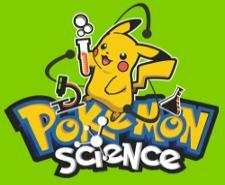 students discover the science behind Pokémon. parents use what they’ve learned, to problem solve, as a family. Families explore hands-on STEM careers, which encourage students to develop a pathway to their future.